Broken up into two modules, we offer seven courses designed to help you come into a deeper intimacy with Jesus, understand the tools at your disposal as a Prophet of God, how to use them, and shape you into the mighty warrior God has called you to be. God reveals many secrets through dark sayings. This course shines the light into your own dreams and visions, giving you the tools to interpret for others and to use as a ministry tool. Increase the occurrence of prophetic dreams, clear visions, and soon your ministry will explode in many directions. 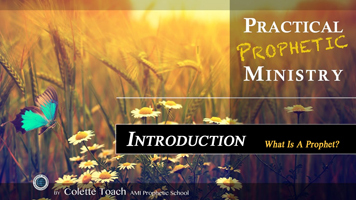 Everything you ever wanted to know about prophetic ministry. This is your first step towards Prophetic Office. As a prophet, you will find out what you were called to do and how you are meant to fulfill that function in the church practically. 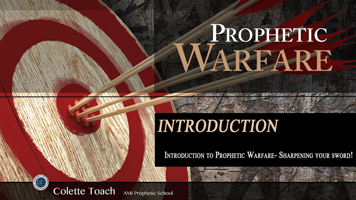 From learning to develop the gifts to entering into a new realm of prophetic decree, this prophetic foundation sets you in good standing to rise up as a prophetic leader in the Body of Christ.